www.malagaairporttransfers.com is part of Malaga Minibus SL. John and Michael started the company 16 years ago when they first moved to Spain. Being from the East end of London John is a proper Cockney and Michael is from Sheffield a proud Yorkshire man. John and Michael and their wives first met in a bar called The Vine in Arroyo de la Miel in Benalmádena. Once Michael and John started talking it was clear they had a common interest, a massive passion for football. Michael being a die-hard Sheffield Wednesday supporter and John supporting the only team you could when coming from the East end, West Ham United. John left England after running his own business looking for a more relaxed way of life in the sunshine. Michael had the same intentions. John has 5 children, four of which came to Spain to live. John purchased a 9 seat minibus so as to accommodate the whole family. This 9 seat minibus was a sign of things to come. John started playing golf with a golf society called The Captains Rest in Benalmádena Costa. The owner of The Captains Rest Golf Society mentioned to John that if he was interested in transferring his clients to golf he could play golf for free. Needless to say John, never one to miss a deal, said yes. The Captains Rest Golf Society also had a golf company. In 2003 this was the biggest independent company on the Costa Del Sol Malaga. John was asked if he was interested in doing more and more transfers. John was not able to handle all the transfers on his own and this is when he approached Michael. Michael had also purchased a 9 seat minibus to transfer clients that were staying in his own private apartments. Michael’s company Benal Leisure soon became very busy with transfers for other landlords and rental companies on the Coast. John and Michael soon see the bigger picture and realised 2 nine seat minibuses was not going to be enough to cope with all the new transfers. The decision was then made by the pair to buy licences SP which you see on all registered vehicles that are able to do transfers. Two 17 seat Renault Minibuses where brought in 2007 soon followed by another three 17 seat Ford Minibuses in 2008. 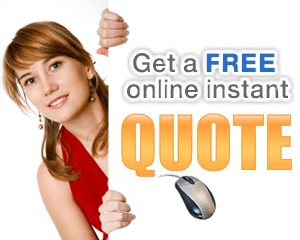 John and Michael were approached to buy a company called Malaga Airport Transfers with a website called www.malagaairporttransfers.com. This name in itself was worth its weight in gold and John and Michael had no hesitation in negotiating a deal. Two 9 seat minibuses a Ford Transit and a Renault Traffic have been added to the fleet in 2019. 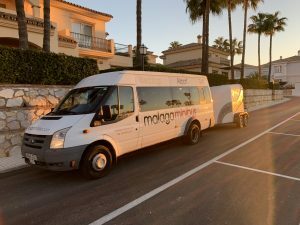 The company is the most successful and well known Minibus Company under the guidance of Malaga Minibus SL www.malagaminibus.com on the Costa Del Sol.